PDMS Maritime was delighted to recently announce a significant new contract with the UK’s Maritime and Coastguard Agency (MCA) to provide a new integrated system to incorporate seafarer management and approved doctor records, delivering process efficiency improvements and enhanced customer services, in line with the MCA’s Digital Strategy. 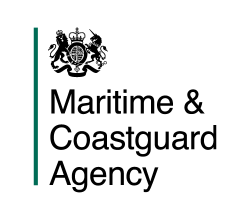 The Maritime and Coastguard Agency (MCA) is an executive agency of the UK Department for Transport. Its responsibilities include UK ship registration and seafarer certification and it is widely recognised for its operational and technical ability. This investment in cutting edge digital technology is strategically aligned with the IMO’s recent recommendations to reduce registry administrative burden through electronic record keeping. PDMS Maritime will be delivering a modern platform which will incorporate all the business management processes for a Seafarer Records System (SRS) and Approved Doctors Information System (ADIS), provided as a new single integrated system. The browser-based system will significantly streamline the MCA’s processes to improve efficiency, greatly improve the management of information and business services, and further facilitate the delivery of exemplary levels of customer service. To read the full press release click here. More updates to follow!